Customer:: addGroups($groups); //adds new groups to a customer, which are transmitted through the array $groups. The groups are managed by the Group class. Customer:: getAddresses($id_lang); //gets a list of all customer's addresses. The addresses are managed by the Addresses class. Settings are configured under the “Preferences -> Customers” menu section which is located in the administration section of the store. As seen from the piece of code above, the page uses the template my-account.tpl . Order history and details. This page is responsible for the complete order history. It is generated by the controller HistoryController. My credit slips. A “credit slip” is given to the customer when he’s returned a product. Controller – OrderSlipCоntrоller. My addresses. 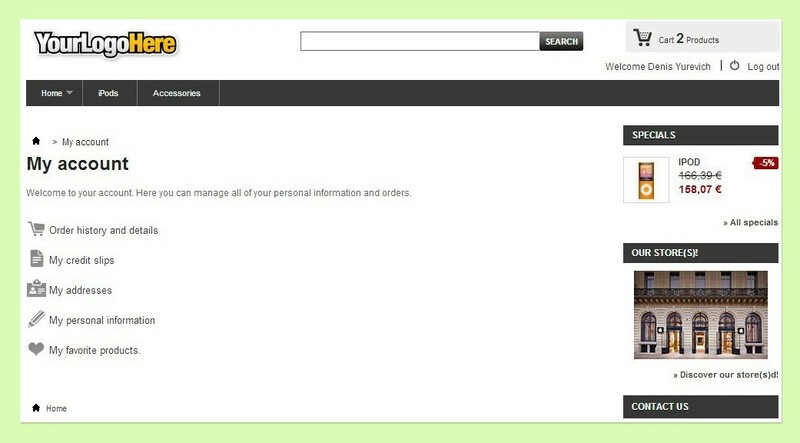 Managing customer addresses.Controller – AddressCоntrоller. My personal information. Managing personal information. My favorite products. The module My Favorite Products. If a customer is not logged in, he will be redirected to the controller AuthCоntrоller. 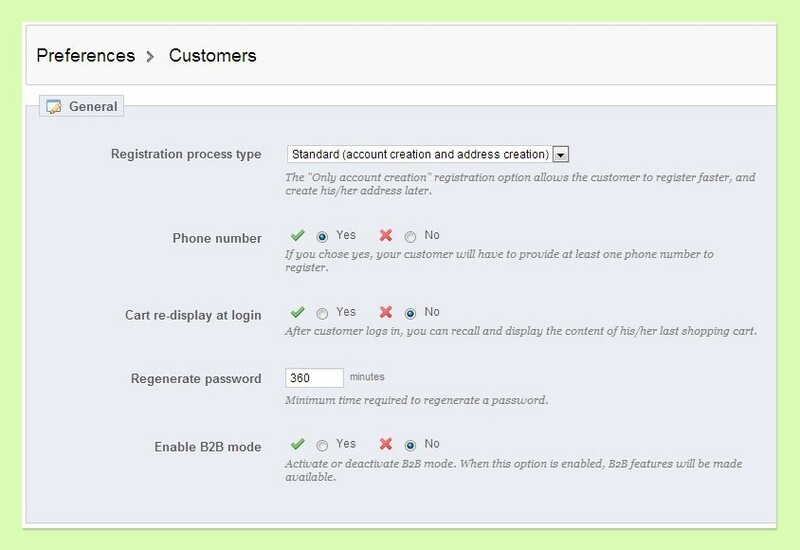 The method Context::getContext()->customer->isLogged() can help you to verify if a customer is logged in. To display additional link in My Account, you can use the hook displаyCustоmerAссоunt. The hook displayMyAccountBlock is used to output data into the block My Account. This block is located in the site’s footer.